Western Watersheds Project and Wild Utah Project had a significant win this week on the Duck Creek allotment of Utah. In the longest running administrative grazing appeal hearing in the history of the Department of the Interior, including 12 weeks of hearings and a record of 15,000 pages, WWP demonstrated that BLM’s rangeland health assessments were biased, that decisions were made arbitrarily and with little substantive basis, that conservation interests were treated with hostility and unfairly under the law, that the agency paid lip-service to sage-grouse protection but didn’t take the requirements of its special status species policy seriously, and that range developments have profound effects on the landscape and can’t be used to offset existing degradation. The time and effort to demonstrate this for one allotment represents an enormous commitment of resources, but Duck Creek serves as a proof of concept: BLM’s land health evaluation and decision-making methods are biased, inaccurate, and insufficient to protect the natural resources on our public lands. 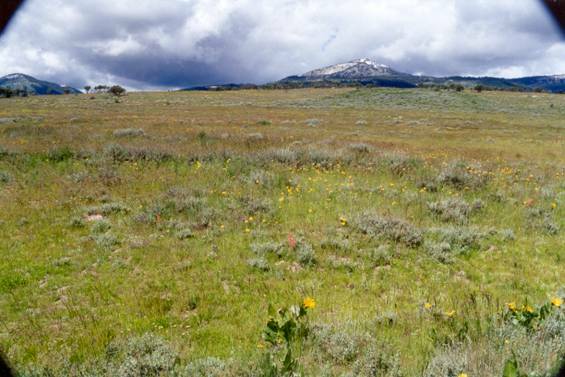 Public lands advocates shouldn’t bear the burden of proof; federal agencies should be using objective, honest, and scientific methods in determining true land health, not merely rubber-stamping status quo management proposals. The following is a summary by Dr. John Carter, whose twelve years of extensive work on this allotment was fundamental to this ruling. In 2001, Utah BLM released 14 Environmental Assessments on some 70 livestock grazing permits in Rich, Box Elder, Tooele and Utah Counties. As Utah Director of Western Watersheds Project, I appealed those EAs for a variety of reasons including failure to adhere to science of livestock grazing and address fish and wildlife issues. We filed litigation in Utah District Court and later, in 2005, reached a Settlement Agreement with BLM over processes to follow in addressing livestock grazing in the Salt Lake Field Office, which manages 3.2 million acres of land in the counties listed. During those years, I monitored conditions in Rich County allotments, including Duck Creek, finding tremendous erosion of uplands, depleted plant communities, stream systems that were severely damaged and springs that had literally been destroyed by livestock water developments, basically piping the springs into metal troughs for cattle and losing all the wildlife benefits and stream flows the springs formerly provided. Reports on conditions were provided to BLM throughout these years, including furnishing dozens of scientific papers on the effects of livestock grazing to the environment with papers on how to properly manage, set stocking rates and showing how these water developments and grazing systems did not improve conditions. 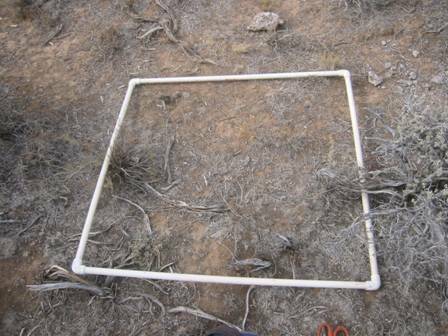 BLM ignored all our information and came out with an Environmental Assessment for the Duck Creek allotment in 2004. This assessment adopted a six pasture grazing system and proposed numerous water developments throughout the allotment. The system was designed by the permittees’ consultant and the Rich County Coordinated Resource Management Partnership (CRM), then included in the EA as the Preferred Alternative. All of our proposals were ignored. The CRM was set up as a result of our former litigation resulting in the Carpenter Settlement above. Western Watersheds Project and I appealed this Decision and went to a hearing in front of Judge Heffernan, the same Judge who ruled on this current case. After a week of hearing in which things didn’t go well for BLM, they decided to withdraw the EA and Decision. Instead of working on a settlement with WWP, BLM did not discuss this and proceeded down the road to issue decisions on Duck Creek to remove Permit Terms and Conditions regarding use by livestock of the forage. 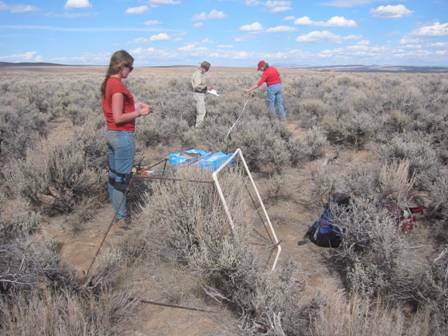 In 2005, Dr. Jim Catlin of Wild Utah Project and myself began a quantitative monitoring program on the Duck Creek allotment. 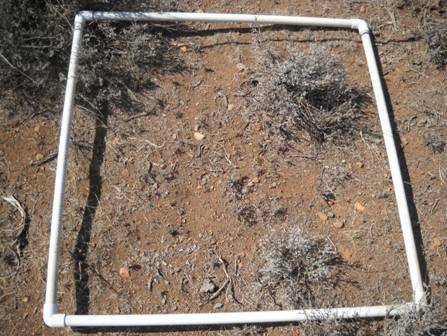 We placed cages to protect plots from grazing in numerous areas across the allotment and following the grazing season, clipped and weighed the vegetation inside those cages as well as plots outside the cages which were grazed by livestock. This was done in stream areas and uplands. Our data showed use levels were excessive and, in stream areas, extreme. We have continued this monitoring and are now in our ninth year. 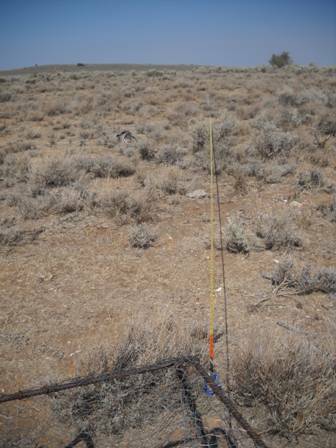 We also measured sage grouse habitat structure, stream conditions showing the damage to the land and its waters. 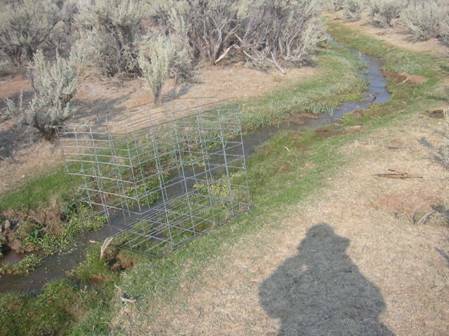 In 2007 BLM issued another EA on the Duck Creek allotment, once again adopting a permittee plan that was developed in conjunction with the CRM. More water developments and fences to the detriment of the land and its wildlife, with no evidence these systems ever work, in fact, leading range scientists have refuted the use of these systems and insisted on setting appropriate stocking rates within the capacity of the land and managing to control use in stream areas and uplands. This active management is not something either BLM or permittees are willing to do, so those ideas are discounted and not used. BLM failed to provide adequate advance notice to Appellants with respect to its June 2, 2006, scoping meeting, because BLM improperly delegated that function to the CRM, which enjoyed no federal status or standing, and CRM cited, chaired, and procedurally controlled that pivotal federal scoping meeting. BLM violated NEPA by failing to assess a sufficient range of cumulative impacts. 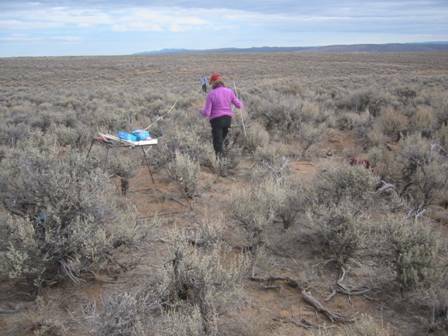 In addition, the record proves that BLM never knew the actual number of cattle grazing on the Duck Creek Allotment, and, consequently, BLM did not have sufficient knowledge to accurately assess and analyze utilization on the allotment. 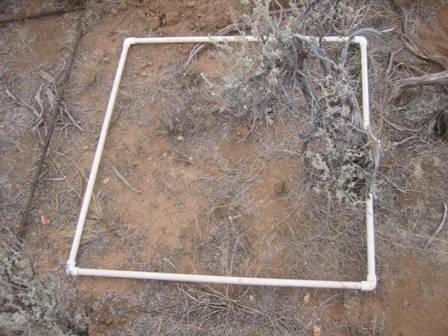 BLM failed under NEPA to adequately assess the multiple impacts of its decision upon sage grouse, a BLM sensitive species; by its own testimony BLM did not even know where the sage grouse were located on the allotment; and, consequently, BLM did not issue an informed decision under NEPA with respect to potential impacts upon sage grouse of its four pasture rotation system. With respect to the condition of wildlife species habitats, BLM failed completely to observe and comply with Utah Standard 3. 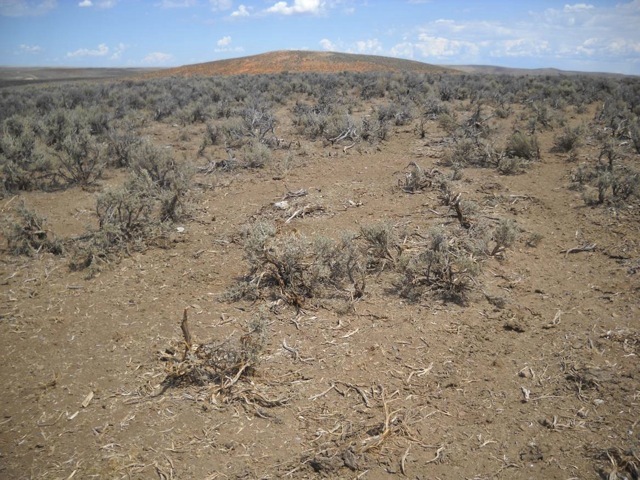 BLM failed to take the requisite “hard look” in the EA at the impacts of lower grass percentages than were actually called for in its own ESDs. 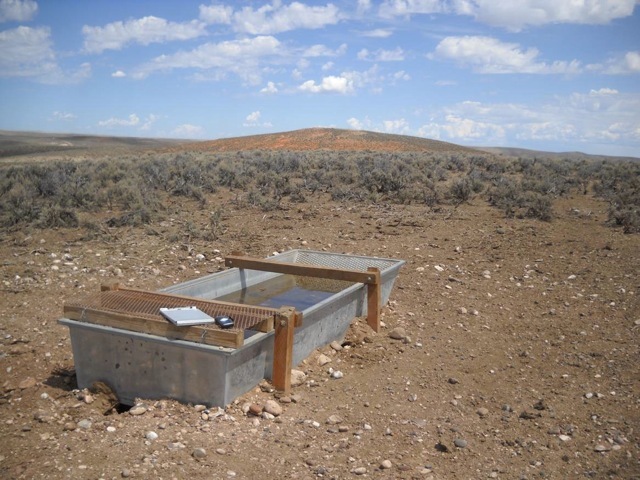 BLM incorrectly concluded that the grazing impacts on the uplands of new water troughs would not be measurable , and, therefore, BLM did not adequately analyze such impacts in the EA. For these, as well as, the other factual, legal, and procedural reasons set out above, including BLM’s failure to include enforceable additional terms and conditions in its Final Decision, BLM’S DECISION ON APPEAL HEREIN IS HEREBY REVERSED AND REMANDED TO BLM FOR FURTHER ACTION IN ACCORD WITH THIS DECISION. 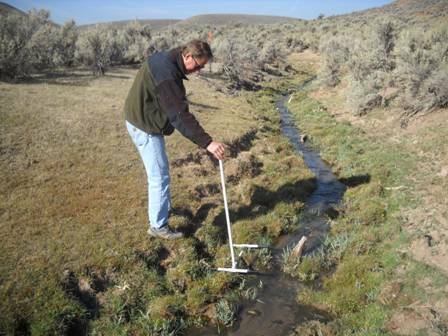 We continue to provide our monitoring to BLM and they continue to refuse to use it, going on as if no degradation is occurring on the land, while streams and springs are being lost and plant production declines. We have monitored for three complete years following the installation of the new water developments and pasture fences and shown the grazing system and water troughs have not reduced use in the stream areas and have accelerated degradation and erosion in the uplands. 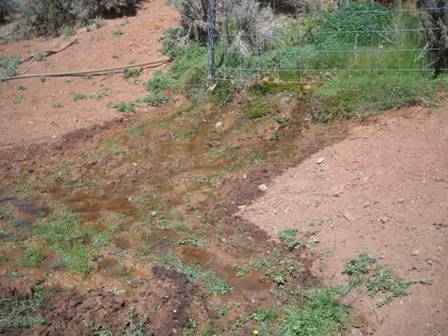 Use by livestock is extreme in both upland and stream areas with severe trampling of stream banks. BLM refuses to consider our information even now and is moving ahead with more of these same projects in Rich County. These photos were taken in 2012 after three years of the new deferred rotation system and water developments were installed. Just as we predicted, things got worse. There are no real reference areas in the allotment other than some very small riparian exclosures. 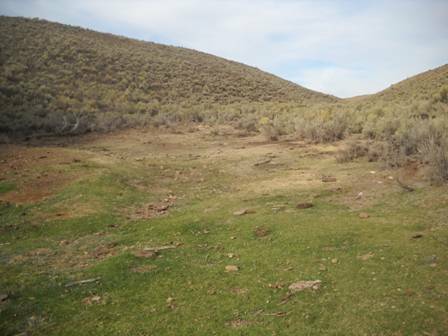 Upland site showing little herbaceous vegetation in shrub interspace and no cover for sage grouse. 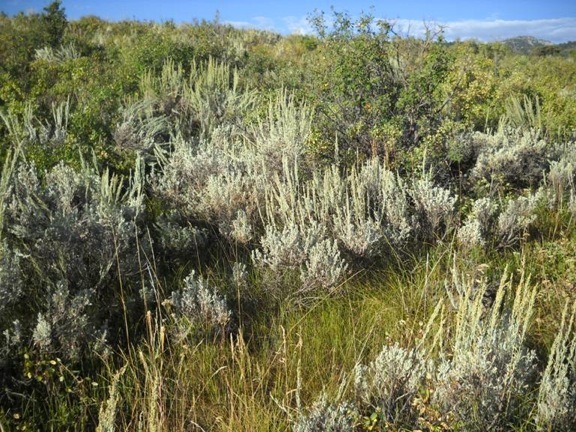 Sagebrush habitats on Kiesha’s Preserve years after livestock removal. These sites correspond to upper elevation Duck creek sites. Bluebunch wheatgrass on Kiesha’s Preserve restored after 10 yrs rest. 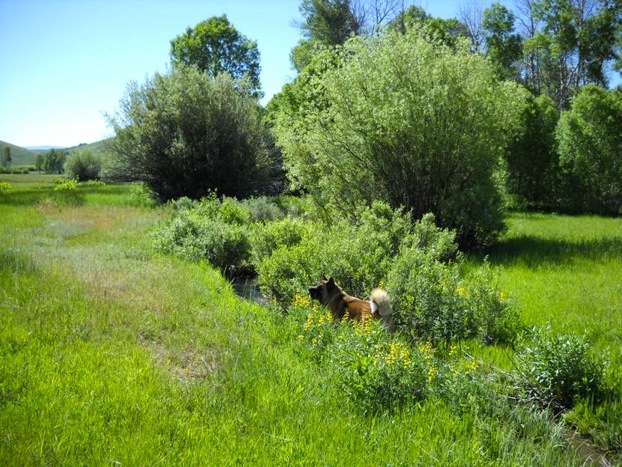 Small Riparian area on Kiesha’s Preserve after 13 years livestock exclusion. 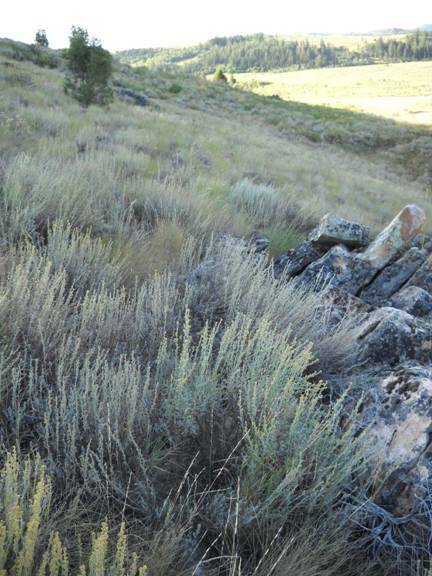 Bluebunch wheatgrass recovery on Kiesha’s Preserve after 15 years livestock exclusion. Water trough on Duck Creek allotment, showing complete devastation for a large area surrounding this trough, one of many. 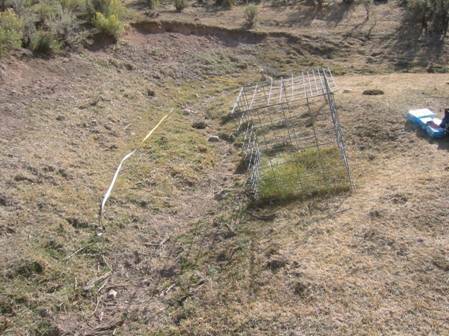 Complete devastation for a large area surrounding a water trough. Dr. John Carter left WWP after the Duck Creek hearing to complete his residence and establish Kiesha’s Preserve in SE Idaho. In 2012, he began working as Manager of the Yellowstone to Uintas Connection, a non-profit established to bring focus to the regionally significant wildlife corridor connecting the Yellowstone area to the Uinta Wilderness and southern Rockies. I am proud to have helped a little on this project with the monitoring. Great work John and Jim! 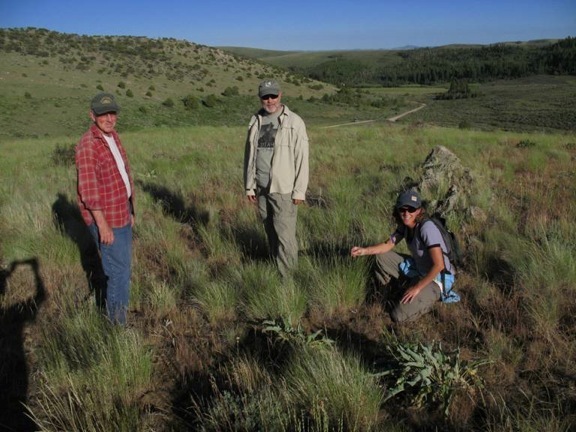 I am taking Mary O’Brien’s Big Deal Botanist training next month and, now that I am a retired Old Broad, I would love to help out on the Duck Creek project. Please keep me in mind! Dr. Carter certainly deserves credit here. The BLM might think they will just discourage people and then the BLM will see them go away rather than spend years battling the agency’s arbitrary and fact-free management practices. Keep publicizing this awful abuse of our public lands. In some places I understand the allotments were bought out to retire the grazing. Is that possible here and if so, how much would it cost? Unfortunately it would take an act of congress to buy out this allotment. There is some language that has been inserted into particular bills that allows for buyouts and permanent closure of the allotments under certain circumstances but there is no language that will ensure the closure of just any allotment. Sure, someone could pay the rancher not to graze here, but there is no guarantee that the BLM wouldn’t turn around and issue a permit to someone else. I wish things of this nature would get some press, real front pages would help the wildlife western cause big time. Wishful thinking I guess! P.S. You are doing a big service Ken, thank you very much. You have been silent on issues of late – I miss your thoughtful comments. Dr. Carter gives an interesting presentation. What a wonderful thing to do. Thank you, Dr. Carter! Ken- Is there some reason that the you never give the names of the BLM officials that let our public lands get treated like this? The names of the ranchers who abuse these allotments should be made public also. I have heard for the past 50 years about how the BLM mismanages public lands. Do any of these misfits ever get fired? What happens next? Is there any measurable consequence of the ruling for the permittees? I am interested in the phrase “Public Trust Duty” are there court cases that suggest that the BLM act as a trustee and adhere to fiduciary standards.